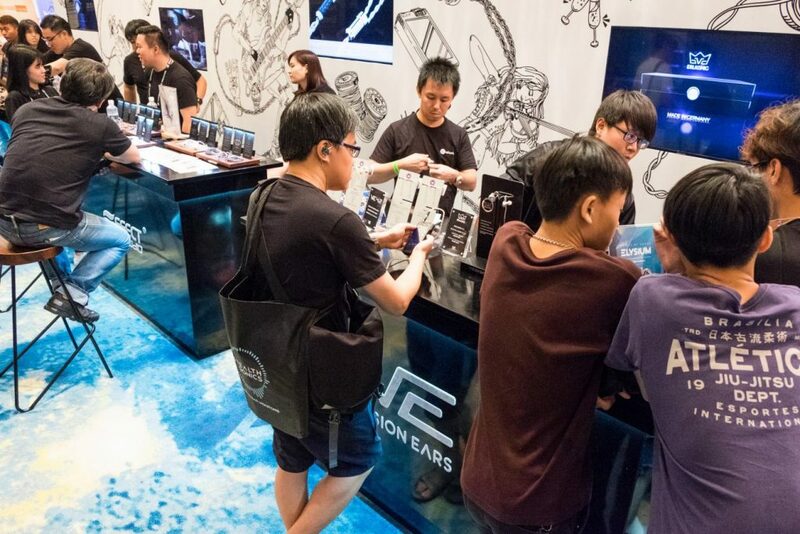 Vision Ears have certainly come to play at CanJam Singapore 2019 – bringing along a whopping three new products to debut at the show. 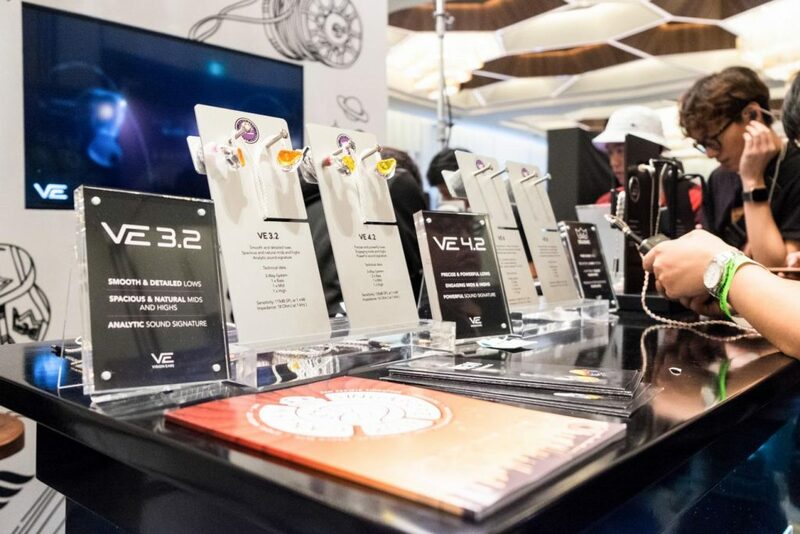 Two of them are refreshes of Vision Ears’ more affordable in-ear monitors: The VE3.2 and the VE4.2. And, the other is on the entirely opposite end of the spectrum. Hopping on the trybrid (triple hybrid) train, Vision Ears have announced a new custom flagship in the Elysium. How do all three monitors perform? Read below and find out! Vision Ears VE3.2: Like the original VE3, the 3.2 possesses a linear tonal balance. Thankfully, the 3.2’s most noticeable change directly addresses the original’s main flaw: Spatial performance. The stage it exhibits is now stable with decent headroom, strong holography and even proportions. The diagonals are particularly impressive. So, when listening to overhead microphones, the VE3.2 accurately positions them at 10 and 2 o’clock; how the drummer would hear them. The low-end is a touch past neutral, providing a healthy kick. The midrange too has impressive dynamic range. Although positioning is decidedly forward, the 3.2 is capable of discerning between vocalists of different strengths. Listening to a belter with gusto and flair like Rachael Price will yield a vastly different experience from listening to a sultry, seductive songstress like Laura Fygi. There’s a hair too much 4kHz energy for my tastes, as vocalists sound saturated; as if they were singing with a slight lump in their throat. A more neutral response would’ve complied with the marketing better. The VE3.2’s treble region is present and airy, but articulation is a touch diffuse. There seems to be a dip around 8kHz that removes that sharp edge from transients. Personally, I’d say it does remove a key bit of definition, but it’s an ideal tuning for those sensitive to top-end bite. That lack of edge to me also prevents headroom and background blackness from reaching max potential. But, as a well-balanced, exciting and inoffensive all-rounder, I’d say Vision Ears have done an admirable job reprising the VE3. Whether or not it can contest its peers – however – is still very much up in the air. Vision Ears VE4.2: The VE4.2 possesses a signature that’s more spatially-oriented. A laid-back upper-midrange and a more articulate treble create a stronger sense of space. The treble seems to extend further as well, rendering a blacker background, greater headroom and a more holographic presentation. Despite the VE4.2’s pitch as a bass-driven IEM, the signature is impressively well-balanced. The low-end contributes body, verve and drive, rather than bloomy warmth. I’d call the VE4.2 just as much as an all-rounder as the VE3.2, given you like a healthy dose of bass. The tone of the bass is darker too relative to the VE3.2, which I prefer with bass guitars. And, the sub-bass rise adds a satisfying guttural-ness to them as well. Again, the midrange is gorgeously spacious whilst remaining likeable with a large majority of music. It’s a thicker shade of neutral, so it sounds pleasing with everything. A neutrally-positioned lower-midrange further boosts definition as well, but coherence is maintained all the while to not compromise resolution, as well as vocal timbre. Like the VE3.2, the midrange possesses strong dynamic range as well, but the VE4.2’s blacker background and sense of space exacerbate that effect. The latter’s treble has more of a bite as well. It’s a more coherent top-end positioned perfectly to cut the bass, but sat nicely against the midrange too. Combined with low-end kick, this makes it an ideal IEM for drums, as well as all sorts of pop, rock and EDM. But again, the space it’s able to eek out, as well as the balance, resolution and power of the midrange make it a proper all-rounder too, as long as you can handle a dose of bass. 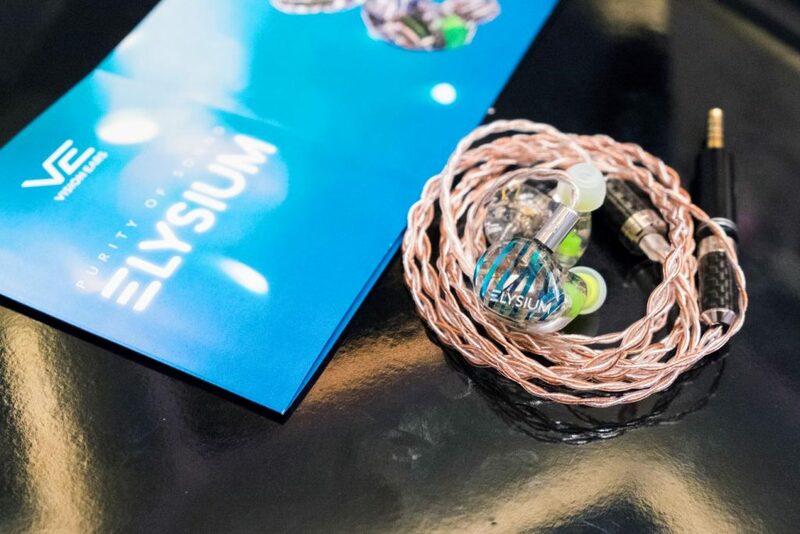 Vision Ears Elysium: The Elysium is a clarity-focused in-ear with heaps of headroom, cleanliness and precision. From top to bottom, the Elysium possesses speed and finesse. Although the top-end may take a second of getting used to, treble timbre is exceptional to my ears. Unlike other electrostatic tweeters I’ve heard, the Elysium splits articulation and body evenly. I found Alclair Audio’s Electro to emphasise the latter, while the Trinity did the former. So to my ears, the Elysium’s cymbal reproduction sounded realistic and three-dimensional – neither dull stumps nor thin, bright wraiths. The way it portrays believable depth is impressive too. Instruments aren’t quite Erlkönig levels of detached-from-your-head-and-standing-on-their-own, but the stage wraps convincingly around the head with resolution, headroom and air. This is particularly true of the Elysium’s DD-fuelled midrange. There’s a depth and holography to it, whilst sounding textured, vibrant and engrossing. Tonally, the Elysium is a hair top-heavy. There’s a tizz to the top-end that calls for the aforementioned adjustment period. Much of that is due to of low-end quantity. The bass is focused, tight and compact, filling only a certain portion of the stage. For my tastes, I would’ve sacrificed a bit of that precision for more warmth. But on the other hand, bass timbre as it is is truly outstanding. There’s a roundedness and meatiness to it that comes across organic and realistic without being wishy-washy. Impacts are well-resolved and well-defined too. So at the end of the day, it’s a matter of preference. VE8 owners should have no fear, because the Elysium is a different beast all on its own. It’s geared towards cleanliness and precision, whilst remaining musical in the midrange. In that way, the Elysium bridges the gap somewhat between the VE8 and the Erlkönig. But nevertheless, the VE8 remains the engagement king. In either case, the Elysium is a piece with excellent resolution, cymbal reproduction and midrange integrity. I’d love for a hair less mid-treble and a warmer mid-bass, but those are minor quirks on an otherwise strong product. However, if the rumoured MSRP (between the VE8 and Erlkönig) proves to be true, the Elysium will have to endure further scrutiny. 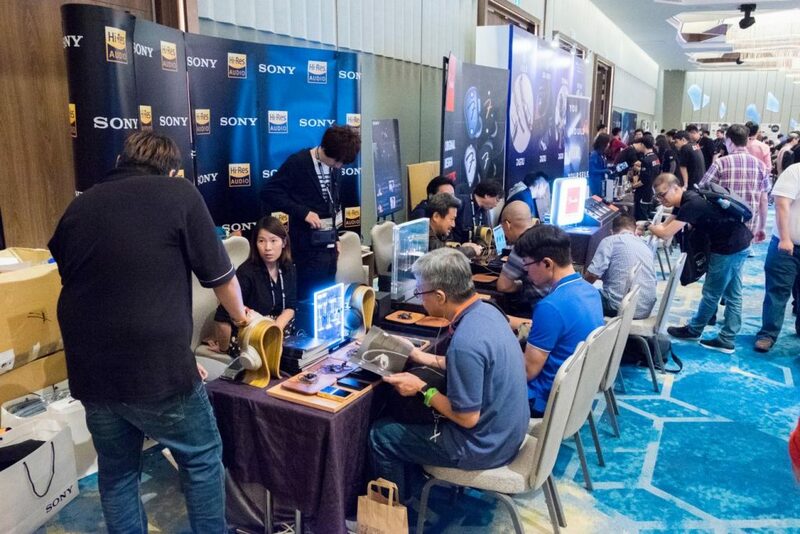 Sony had a massive presence throughout CanJam Singapore 2019. 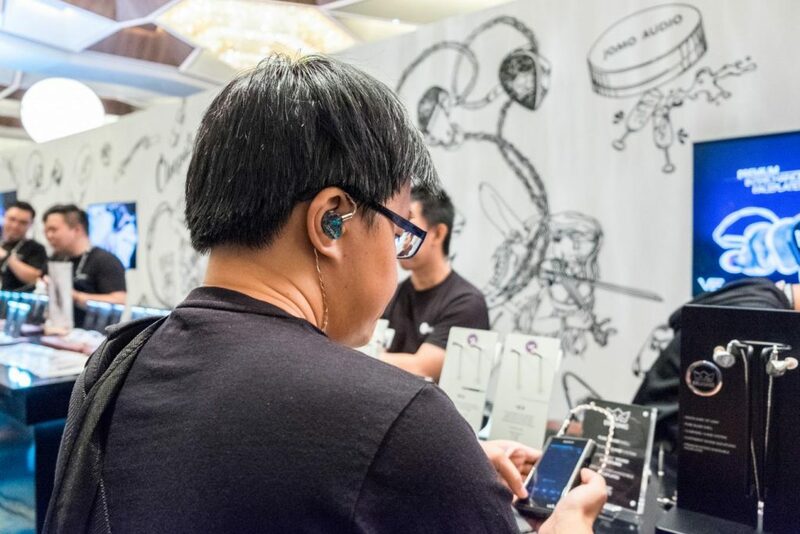 Not only were their Walkman players ubiquitous throughout the show floor, but their booth was constantly swarmed by audiophiles yearning to audition their new in-ear flagship IER-Z1R, as well as their massive, transportable “DAP” DMP-Z1. Again, due to the constant crowd, as well as the approaching closing time, I did not have time to grab photos of the product. So, I hope promotional images from their website will suffice. But, I did manage to lengthily listen to their IER-Z1R. Here are my impressions of Sony’s latest TOTL. Sony IER-Z1R: The IER-Z1R possesses an outstandingly spacious presentation. The image stretches far on all three axes, but does so without any detrimental shortcuts. The stage maintains coherence and unity, and, none of the instruments within it sound insubstantial either. Notes sound dense, tactile and engrossingly corporeal. The Z1R’s low-end provides an excellent foundation; weighty, guttural and three-dimensional. Bass hits have a realistic sense of rhythm without overdoing decay. Its meaty timbre is gorgeous too, radiating just enough warmth without mucking up the stage. The way kick drums and tom-toms are portrayed is stunning, though contra bass enthusiasts may wish for a warmer response. The midrange is where I’m most lukewarm with the Z1R. To boost depth and definition, it seems Sony has recessed the lower-mids. I find baritones like Michael Bublé missing their weight, gravitas and dynamic range. Those instruments end up coming across meek and distant. Higher-pitched instruments fare far better. They project naturally, surrounded by miles upon miles of space. Listening to Tori Kelly’s Masterpiece featuring Lecrae, this midrange discrepancy is clearly depicted between the two artists. Tori Kelly belts with air and grace, while Lecrae comes across sounding thin and one-note. Though in either case, there’s neither the warmth nor intimacy to satiate any enthusiast of organic, meaty vocals. Tonally, it’s a strict neutral. I find the Z1R’s treble lovely to listen to. Articulation is crisp, dynamic and clean, but smoothly refined as well. Aside from a hint of brightness around 8kHz, the top-end rings beautifully with the vast majority of my music. Speed and extension impress as well. Treble notes decay gracefully, ensuring those bright hints never linger. And, the Z1R’s wonderful stage is a clear contribution of extension as well. Background blackness and image stability are both world-class. In conclusion, if you’re looking for one of the most spacious, detailed and clean in-ears on the market today – and your tastes do not revolve around euphony or full-bodied lower-mids -the Z1R is a very, very strong contender.